Cut the aubergine into long thick wedges. In a bowl, combine the chili powder, turmeric, cumin, salt, and vinegar to make a paste. Marinade the the sliced aubergine, remembering to turn them to ensure an even coat. Heat the oil in a cast iron or heavy pan, brown the aubergines on all sides and then lower the flame, covering the pan to let the aubergines cook until they are tender. 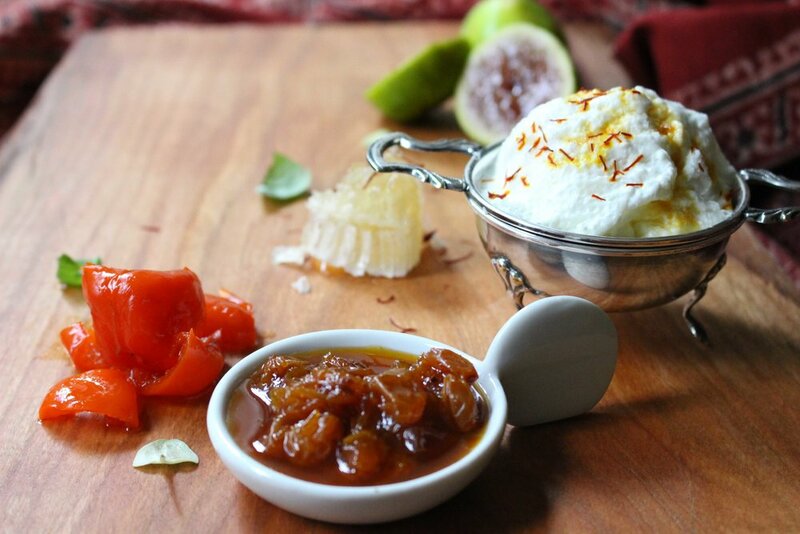 Mix a tbsp of the Le Bon Magot preserve and the extra saffron (if using) in the greek yogurt. Serve aubergines warm, topped with the yogurt mixture and an added blob of the preserve.